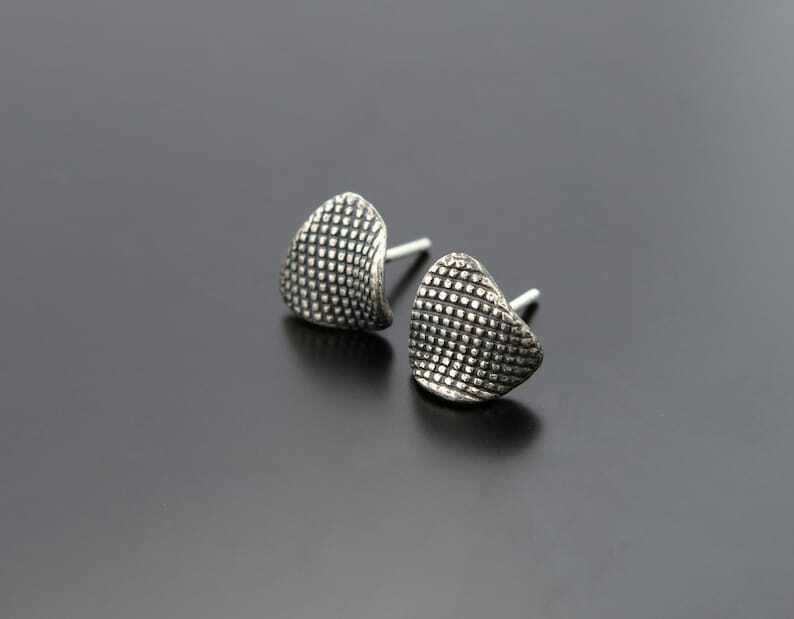 Handmade small sterling silver texture jewelry- earring studs with beautiful asymmetrical shape texture, the silver is solid 925. Beautiful and unusual handmade earrings with beautiful texture that reminds piece of cloth. 💝 This listing is for pair of studs with beautiful texture and special shape. 🌼 The shape is: asymmetrical.